Allow pastry to sit at room temperature for 2 hours before use. Never remove filo from its plastic bag until ready to use. Remove just the amount of sheets necessary, and immediately cover with a plastic sheet or damp towel. Replace balance in original bag and seal tightly, either refrigerate or freeze. Frozen pastry should be placed in a refrigerator for 24 hours before use. 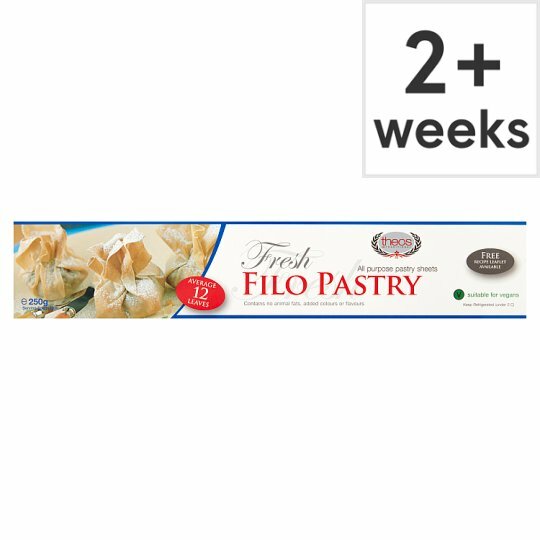 Unused pastry should be used within 1 week. Melted butter or an alternative should be brushed onto each sheet during use.